Have you ever wanted to rewind refugee policy? 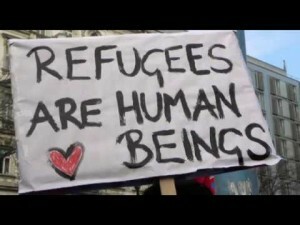 I often wonder how we (in Australia and elsewhere) can find our way back from the current situation in which people seeking asylum are treated with disdain, rejection, and contempt for their human rights. Can we ever achieve what Brian Bilston has managed in this clever poem? When you read it from the top down, it is a sad commentary on dominant political and media representations of the millions of people worldwide who are fleeing war, violence, persecution, and oppression. Reading from the bottom up, on the other hand, provides recognition that “these are people just like us” with whom we need to share our countries, our homes, and our food. How do we change policy in real-world practice? If only it could be this easy. We are not going to share our country [with people who arrive by boat]. These people need to go back to where they came from [Iraq, Iran, Afghanistan, for example] or to third countries [like Cambodia]. They are not coming to Australia. They are not in detention on Nauru [a tiny island]; they are in a “regional processing centre”. They are being pedalled lies by advocates and some journalists and we [the government] just want to stop people dying at sea and stop people smugglers. It is hard to see how we get from this to the bottom-up reading of Brian Bilston’s poem! I am including the full transcript of the interview below for the record. MARK COLVIN: The Immigration Minister Peter Dutton joins me now. Mr Dutton, you would have heard that audio, there’s a lot of screaming, but we can hear somebody saying ‘officers are starting to kick people’, and then at the end, ‘they’re hitting heads now’ – something along those lines, it’s quite hard to make out. But that’s the basis of what’s being said. What’s your version of what happened there? PETER DUTTON: Well Mark, the advice that I’ve got is something quite different, and that is that there was an assault on seven officers within the centre. Now look, people want to settle in Australia, they don’t want to be on Nauru, they don’t want to be on Manus, they don’t want to be anywhere else but Australia and they’ve paid their money to people smugglers. PETER DUTTON: Well that’s not the advice that I’ve got but I’m happy to provide the advice, because there is a lot of misinformation being peddled frankly, and this video, which I’ve watched online, I think is a complete outrage, because there is no evidence that people are being assaulted there, that’s not the advice that I’ve received. And people who are on Nauru need to hear this very clear message from me, and I’ll repeat it again today: that we do expect people to work within the arrangements to help them settle back in their country of origin, or back to a third country. They are not coming to Australia and they should conduct themselves within the law and assaulting people on Nauru is not going to influence me one little bit. People will go back to their countries of origin because these people are not found to be refugees, they are seeking protection – they’ve been found not to be refugees and they want to come to our country because they’ve paid their thousands of dollars to people smugglers, and we are not going to allow those people smugglers to get back into business, Mark. MARK COLVIN: But you are still talking about the people involved in this as if they were the adults who paid for the passage, but there are other accounts which say that this is all about – or not all about, but a substantial amount of this is about a bunch of kids who start off by climbing a tent, then they get some sort of agreement from border force to send a letter to Canberra. They come down from the tent roof, they get a reply that says they won’t be settled in Australia, and then they get frustrated and kick chairs over. So I mean, are you saying that there were no children involved in this? MARK COLVIN: Rather than saying – referring me to your previous answer, just say there were no children, or there may have been children. PETER DUTTON: The sad part here is that people – advocates in Australia, frankly some people on the ABC as well I’m sorry to say, are peddling misinformation here, and it needs to stop, because these people are being offered false hope that they are coming to Australia. They are not coming to Australia, I’ve been very clear about that. MARK COLVIN: I understand the policy issues, I’m just trying to get some facts out here. MARK COLVIN: …on Sunday, and now it appears that there are still two children in detention. So where’s your credibility on that issue? PETER DUTTON: The misinformation is in relation to the two children. 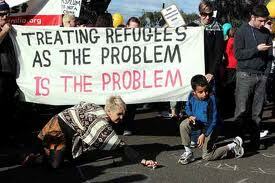 So there are two children who are in held detention at the moment that are not off boats. I’ve been very clear that every child who’s come off a boat has been released into the community. There is no child from a boat in detention. I’ve been very clear about that. MARK COLVIN: Alright. Let’s – accepting that, let’s step back to your evident pride on Sunday in saying that there were no children on the mainland in detention any longer. If you’re so proud of that, why are you also happy to keep children in detention on Manus – on Nauru? PETER DUTTON: Thank you for doing that Mark, because I think it’s important for people to be responsible in these debates. And unfortunately some journalists repeat these lies, and dont’ correct themselves. It is important to stick to the facts. MARK COLVIN: Well could you answer the question? PETER DUTTON: I’m very happy to. MARK COLVIN: Why are there still – are you happy that there are still children, or why are you not unhappy that there are still children on Nauru? PETER DUTTON: Well again, Mark, and I think you’ve read widely on this topic, so I don’t know why you peddle this misinformation. There are no children who are in detention on Nauru. There are 50 children living within the regional processing centre. It is a 24-7 open arrangement, people can go out into the community. 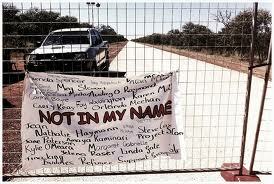 There are hundreds of people who are employed in local businesses, involved in activities on Nauru. And I think people are getting pretty sick of the misinformation being peddled by some ABC commentators and some within the advocate community, because you are providing false hope to people that need to be given support to return to their country of origin. Because we are not settling these people in Australia, and the longer they stay there, the more difficult it becomes, and I’m very happy to provide whatever support we can to help people return back to their country of origin or to a third country, otherwise. But when they say to us ‘we’re being told by advocates, and we read the ABC, and we’re told that we can come to Australia at some point’, you are offering them false hope. And frankly, I think it’s quite sad. MARK COLVIN: Well you say they’re not in detention on Nauru, but Nauru is a tiny island, it is essentially, for them, in their perspective, it would be a prison island. Why are you happy for them still to be there in conditions where we have to take your word for the conditions that they’re in. It is extremely difficult – near impossible – for journalists…..
PETER DUTTON: I don’t want them to be there. MARK COLVIN: Why can’t the rest of the world see what their conditions are like? PETER DUTTON: I don’t want them to be there, Mark, I can’t repeat that enough on the ABC. I want them to go home to their country of origin, or to a third country. But they are not coming to Australia. PETER DUTTON: Well I have answered the question, and…. MARK COLVIN: Well the question is why don’t you allow people to go to Nauru and see for themselves whether what you are saying is true? PETER DUTTON: Well Mark as you well know, you’re a well read individual, you know that Manus Island on PNG is a sovereign nation, you know that the PNG government decides who comes to their country, and similarly with Nauru, with the United States, or New Zealand or Australia – we decide who we issue visas to. MARK COLVIN: You have enormous financial leverage over Nauru, for example. PETER DUTTON: Well, again Mark, I mean if we can deal with the substantive issue here, that is people being offered false hope. I don’t want 1,200 people to drown at sea again, I don’t want children back in detention. People are seeing the scenes in Europe at the moment and I don’t want to see the boats recommenced. We have a solution to this difficulty, we are presiding over one of the most generous intakes of refugees in the world; only Canada, the United States and Australia are providing such support to refugees to settle permanently in our country. But people are not coming to our country by boat. And I really, really say to people: please don’t offer this false hope to these poor people. I want them to go back to their country of origin but they are not coming to Australia and I want them to hear this message very clearly, as I do for those proponents on the ABC and elsewhere. MARK COLVIN: If they’re not in detention in Nauru, why did your spokesperson today use the word ‘garrison’ about Nauru – the ‘garrison services provider and centre personnel de-escalated the protest action’. A garrison is a group of troops stationed at a fortress or town to defend it. That’s a military term. PETER DUTTON: Well Mark, again, not to question your thought or motive, I’d like to check the statement, not that I doubt your word but I would like to check the statement, because there are a lot of statements frankly that are made by you and others, I might say which are factually incorrect. Now I’ll have a look at the statement and I’m happy to have a look at it in context and provide you with comment, but I am getting a little bit sick of misinformation and misreporting by people who hold themselves out to be responsible journalists. PETER DUTTON: Well I have to put myself in the shoes of many people in this job though Mark and I put myself in the shoes of 1,200 people who drowned at sea. I don’t want to see boats recommencing, I want to see…. MARK COLVIN: What’s the baseless claim then? PETER DUTTON: Well in terms of the threats to this person, the fact that this person needs to be brought into witness protection, what do you base that claim on? MARK COLVIN: He’s the witness in a murder case in which the alleged murderer is on the run. It’s fairly simple. MARK COLVIN: I mean you’re a former policemen. PETER DUTTON: Sure, and I base my statements on that. MARK COLVIN: In those circumstances, how would you feel if one of your witnesses – if you had been investigating a murder and the alleged murderer went on the run in fairly lawless circumstances, as I say nobody seems to have noticed for a week, wouldn’t you be looking after the protection of your witness? PETER DUTTON: Well Mark, what I’d do is I would be very mindful of the fact that people are watching my comments and that I need to base them on fact, and I wouldn’t be carried away with the emotion of the situation. I would make considered judgements in relation to the circumstances based on the facts as opposed to hearsay or hysterical claims by some advocates and then repeat them as if they’re fact on the national broadcaster. I think that is what I would try and do. MARK COLVIN: Late this afternoon, the High Court has granted an urgent injunction to prevent an abortion on an asylum seeker who’s been transferred to Papua New Guinea. What is the status of that case, what are you going to do now? PETER DUTTON: I don’t have any comment to make in relation to individual cases and I haven’t done before and I don’t intend to start now. We provide support, significant medical support, to people both in Nauru through the regional processing centre arrangements there, through the hospital there, where millions of dollars literally have been put into providing medical services, and there are medical services that are then provided in PNG and ultimately if need be, in Australia as well. People are provided with significant support for their medical needs and in relation to individual cases, particularly where there are personal matters of this nature involved as has been the case in the past. I won’t be providing a running commentary on people’s individual choice or health needs. MARK COLVIN: The public are paying a very large sum of money to Wilson Security for the security on Nauru and Manus and as you know, Wilson has been implicated in allegations about offshore tax in the Panama Papers, are you looking into that? PETER DUTTON: No I’m not. PETER DUTTON: Well because the tender arrangements are published, it’s a tender that’s run by the department. If there’s a breach of the tender, then there’ll be consequences in relation to that breach. But again I don’t have all of the facts in relation to some of the allegations that have been made and if people are not eligible to tender or they’re an inappropriate candidates to tender for government work, then they won’t get that government work. MARK COLVIN: So will your department be looking into it? The idea that we’re employing, let’s say that it was proved, that we were employing a major tax avoider? PETER DUTTON: Well Mark we would look at the individual person or company or entity, and if the entity wasn’t able to fill the criteria or to meet the standards that we would expect from somebody with whom we were to contract services, then that wouldn’t proceed. And that is a case without talking about individual companies or individual entities, that is the appropriate approach by the Commonwealth. MARK COLVIN: One last question, Tony Abbott in his recent quadrant essay boasted about sending West Papuan activists back to Indonesia without any form of process. Is that still going on? MARK COLVIN: But were they screened? PETER DUTTON: Well I don’t have the detail in relation to individuals as I say, but we abide by the law, the international conventions that we’re a party to. We settle more refugees than almost any other country in the world, something of which I think we should be very proud of and frankly I think…. MARK COLVIN: But is it safe to send West Papuan independence activists back to Indonesia? PETER DUTTON: Well you’ve asked me about a particular claim made – I don’t have any comment to make…. MARK COLVIN: A claim made? It was made by Tony Abbott, about the time when he was prime minister. PETER DUTTON: Sure, I don’t have any detail to provide you in relation to the particular matter that you refer to Mark, but I’m happy to look into these matters. But we don’t send people back into locations where they may be at risk. We look at the individual circumstances, we look at the country’s circumstances, we make judgements in accord with the Australian law, with international conventions to which we are a party. We are an exemplar in relation to these matters and we will continue to settle, as I say a record number of refugees in our country. We’ve reduced the number of children in detention from 8,500 down to zero. We have been able to stop boats and drownings at sea and we are not going to allow that situation to recommence, and that’s why the Government’s policies will continue and I think that is something that all Australians should be proud of. MARK COLVIN: Alright, Peter Dutton thank you very much for your time. PETER DUTTON: pleasure, thanks Mark. MARK COLVIN: The Immigration Minister, Peter Dutton. WE HAVE A LONG WAY TO GO TO RECLAIM OUR HUMANITY! I first posted the poem by Brian Bilston on Facebook, and am embedding that post here for the record.